Summer is near! And while many of us are working nonstop to address the issues our communities face, I do hope you're able to take a moment to soak in this good weather (...which is long overdue for many of us)! This edition of Member News is bittersweet for me as we recently lost one of our longtime ABFE members, Deborah Holmes . Deborah was a kind heart, a friend, a colleague, an advocate, a role model...and so many more things that come to mind. Her impact and work in the sector and beyond will not be forgotten. 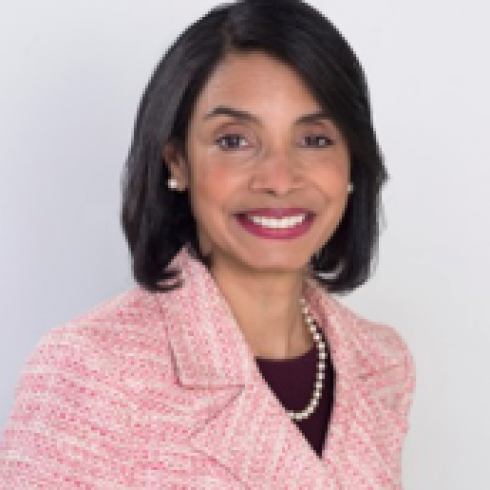 That said, we posthumously dedicate this month's "Featured Member" to Deborah and her tireless work for women, racial equity and responsive philanthropy in Black communities. I also want to take this time to recognize our new Board of Directors, who were voted in during our annual conference last month. They are: Rev. Cory S. Anderson (Winthrop Rockefeller Foundation), Dr. Sylvia Bartley (Medtronic), Stephanie Bell-Rose (TIAA Institute) and James W. Head (East Bay Community Foundation). Please join me in welcoming these dynamic leaders to ABFE! Before I go, I would like to ask all 2018 conference attendees for their help in completing our conference feedback and evaluation survey, which will be distributed tomorrow. Your candid feedback is critical as we explore new ways to make next year's annual conference bigger and better! Rev. 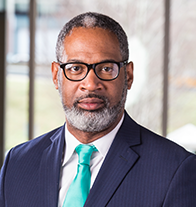 Cory S. Anderson is the Winthrop Rockefeller Foundation’s (WRF) executive vice president responsible for the cultivation of local and national partners, special initiatives, and strategy development. Cory came to WRF in 2008 after seven years with The Annie E. Casey Foundation in Baltimore, Maryland, where he supported state-level child advocacy organizations and helped lead the KIDSCOUNT Initiative. Dr. Sylvia Bartley is a lifelong seeker of spiritual enlightenment and inner peace. 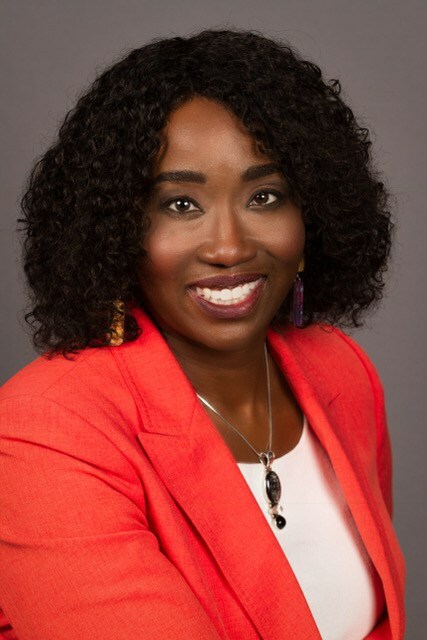 She strives to hold these values of self-awareness, empathy, and perseverance in all aspects of her life, both as Global Director at Medtronic and in her community-service work. Sylvia is known for connecting people and making things happen: as a scientific researcher at a leading medical school in London, she gained her PhD in Neurophysiology. After 13 years in academia, Sylvia transitioned to the medical device industry beginning in sales and progressing to global marketing. During the last fifteen years with Medtronic, Sylvia has convened cross-functional teams across the globe to develop, improve, and disseminate neurosurgical techniques and best practices, primarily for Deep Brain Stimulation therapy. James W. Head is the President & Chief Executive Officer of the East Bay Community Foundation. 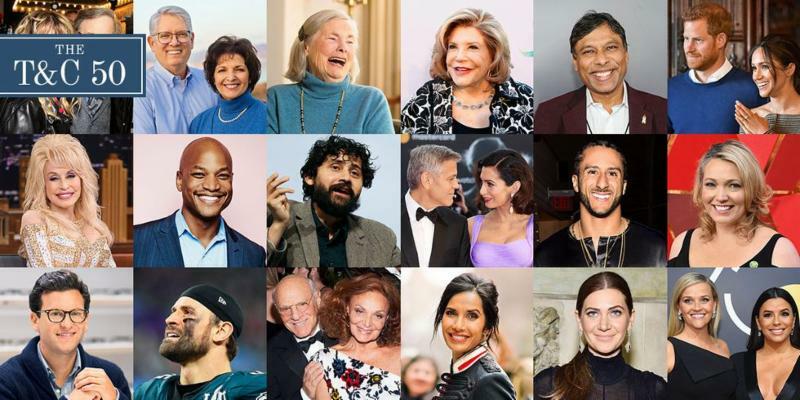 Before coming to the Foundation in 2014, he served for 10 years as Vice President for Programs at The San Francisco Foundation, where he spearheaded initiatives on race, equity, poverty, housing, economic development, and youth development. 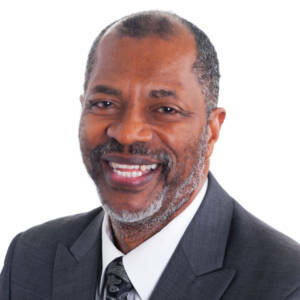 James has more than 30 years of experience in philanthropy, nonprofit management and technical assistance; community and economic development; and public interest and civil rights law. Prior to joining The San Francisco Foundation, he was president of the National Economic Development and Law Center for 18 years. The 2018 - 2019 Connecting Leaders Fellowship Program (CLFP) Application is Due Friday, June 15th! 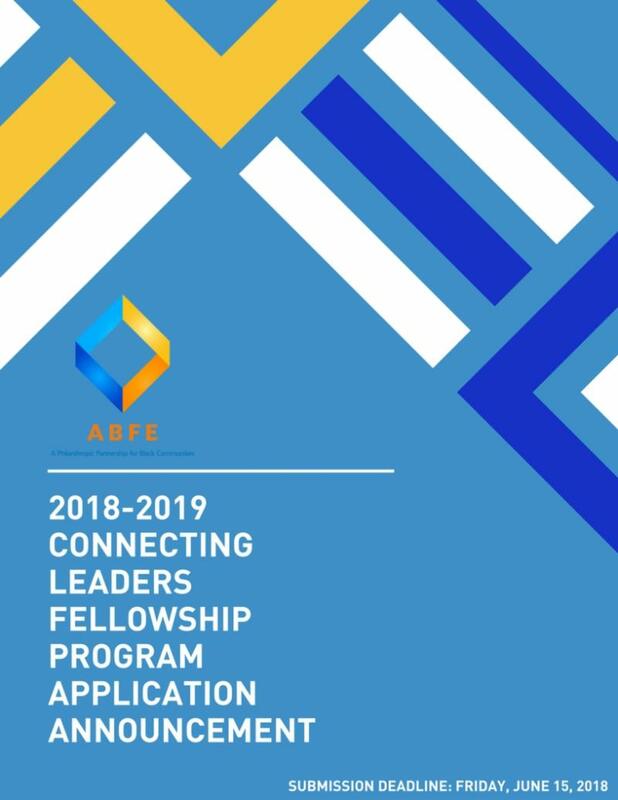 ﻿ ABFE's Connecting Leaders Fellowship Program (CLFP) is now taking applications for its 2018 - 2019 Class! Now in its 12th year and 121 Fellows strong, we are looking for funders who are committed to assisting Black communities through philanthropy. Fellows will have the opportunity to learn from seasoned grantmakers and peers on a regular basis, understand how to be more effective agents for change within their institutions, and participate in a network that focuses on innovative solutions to community challenges. Fellows attend a week-long Leadership Summit (this year's Summit will take place November 11 - 16, 2018 in Chicago) and are assigned an executive coach. In addition, each fellow is required to complete a community-based learning project during the fellowship year. This can be volunteer work or a research project on a topic of interest. The deadline for applications is Friday, June 18 . For more information on CLFP, contact Tekecha Morgan, program associate for ABFE, at tmorgan@abfe.org . When philanthropy first began tackling racial justice during the 1960s and 1970s, most of that work focused on black communities. The civil rights movement was in full swing, and leaders like Martin Luther King Jr. spread the message that robust organizing around anti-black racism could get at the heart of America’s entrenched inequalities. 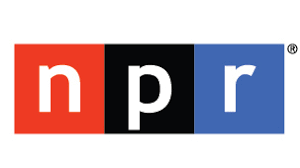 At the time, funding by the Ford Foundation and others, in part, helped build a pipeline of black leaders that went on to head progressive organizations and find success in Democratic politics—even as philanthropic support for racial justice fell away in the 1980s. Now, 50 years after King’s death, it’s easy to look at the ways in which progress has been stymied. Deep disparities between the races still exist. And even as the focus has expanded to all “people of color,” black communities still fare the worst on a whole host of indicators. However, as we’ve seen, race is back on the radar of many funders these days. So is providing support for advocacy and movement building. But will those trends actually improve conditions for black Americans? 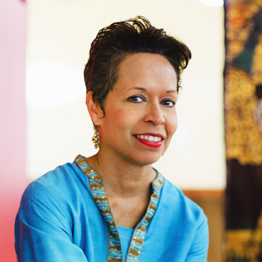 Deborah Holmes, journalist, activist and social justice leader. 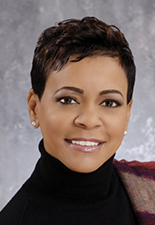 This month's [posthumously] featured ABFE Member is Deborah Holmes . While we are saddened to hear word of her passing, we are comforted in knowing her legacy and work will live on . On May 3, The Women’s Funding Network announced a Women of Color Internship Fund which will honor the legacy of Deborah Holmes. You may contribute to the Deborah Holmes Internship for young women of color fund here. Deborah Holmes will be honored at a memorial on June 14th at 2 pm at Grace Cathedral in San Francisco. A simultaneous training session for 175,000 employees, across more than 8,000 stores: That's what Starbucks is doing today, urging its workers and managers to discuss racial bias and respect, in the wake of two black men being arrested in a Philadelphia store last month. For the sessions, many Starbucks stores will shut down on Tuesday afternoon and stay closed for several hours. A sign at one store in Chicago says it's locking its doors at 2:30 p.m. and reopening on Wednesday, for instance. Other stores have posted similar notices. The plan covers only Starbucks-operated stores; nearly all of the 7,000 Starbucks-licensed coffee shops – in places like supermarkets, hotels, and airports – are likely to remain open, the company says. The training is meant to help Starbucks navigate the challenges of being the "third place" that its leaders have often spoken about – the place where people spend time outside of work and their home. 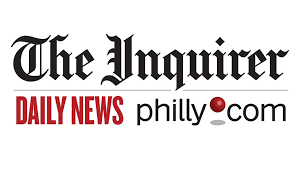 That mission came under new scrutiny in April, when two men who had been refused access to the bathroom at a Philadelphia store refused to leave. After the manager called 911, the men were arrested and held for hours. On Thursday, he found himself in a very different position: appearing alongside Gov. Wolf, a half-dozen state lawmakers, and his supporter Michael Rubin, a co-owner of the 76ers, at the National Constitution Center to push for criminal justice reform — including a proposal to change practices that have placed 296,000 Pennsylvanians under supervision for years on end, at a rate that is among the highest in the nation. “What I went through is terrible, but I think it’s a path God put me on for a better time, like right now. It’s surreal to be in this situation like this — to be with Gov. Wolf talking about criminal justice reform,” said Mill, 30, standing in a crisp suit. Stacey Abrams is the nation's first black woman governor nominee. Democrat Stacey Abrams won her party's nomination in Georgia's gubernatorial primary on Tuesday, becoming the first black woman in the country to win a major party's nomination for governor. She's now hoping to win the general election and become the first African-American woman elected governor in the United States.